On December 1, 1955, Rosa Parks solidified her place in the history books by refusing to give up her bus seat to a white passenger—an arrestable offense in then-segregated Montgomery, Alabama. That quiet act of defiance helped kick-start the Civil Rights Movement and made Parks a household name. But it isn’t the only thing she should be remembered for. Here are some facts worth knowing about the icon on what would have been her 106th birthday. 1. She finished high school at a time when that was rare. 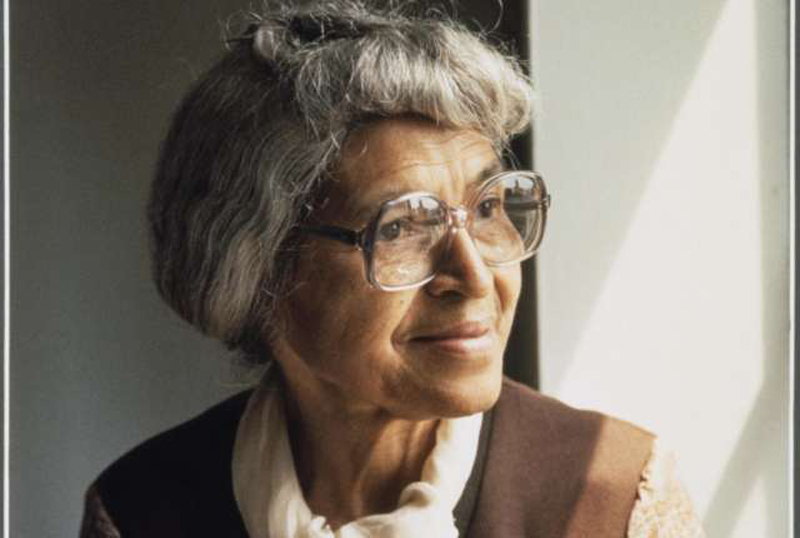 Though Rosa Parks enjoyed school, she dropped out at age 16 to take care of her dying grandmother. When she was 19 years old, Parks’s husband, Raymond, urged her to complete her high school education. She received her diploma in 1933, making her part of the mere 7 percent of African Americans at the time to earn the distinction. 2. She was active in politics. Parks's fight for equal rights for African Americans didn’t start with her fateful arrest. In 1943, she joined the Montgomery, Alabama chapter of the NAACP and served as its secretary until 1956. Part of her duties included traveling across the state and interviewing victims of discrimination and witnesses to lynchings. After moving from Alabama to Detroit, Parks worked as an assistant to U.S. Representative John Conyers, where she helped find housing for homeless people. 3. The bus driver who had her arrested in 1955 had given her trouble before. Parks’s first conflict with James Blake, the bus driver who reported her to the police in 1955, came more than a decade earlier. In 1943, she boarded a bus driven by Blake and, after she paid her fare, he told her to exit and re-enter through the back doors—a rule for black riders using the segregated bus system. Instead of waiting for her to get back in, Blake drove away once Parks was off the bus. She avoided the driver for more than 10 years until one day she boarded his bus without paying attention. When she refused to surrender her seat to a white passenger, Blake was the one who called the police and had her arrested. 4. She helped spark the Civil Rights Movement. Parks never planned to start a movement, but that’s what happened shortly after her arrest. Civil rights groups used her quiet protest as an opportunity to shine a national spotlight on unconstitutional segregation laws in the Deep South. The Montgomery bus boycott kicked off just days after her arrest, and less than a year later, the Supreme Court deemed the city’s segregated buses illegal. Parks’s arrest and the bus boycott are viewed by many historians as the inciting events of the movement that led to federal civil rights legislation in the 1960s. 5. She wasn’t the first black woman who refused to give up her seat. Just nine months before Parks made history in Montgomery, a 15-year-old named Claudette Colvin was arrested in the same city for not moving from her bus seat for a white passenger. Colvin was the first person taken in custody for violating Montgomery's bus segregation laws, but her actions were quickly overshadowed when Parks became the face of the Montgomery bus boycotts less than a year later. 6. She was arrested a second time. Not long after her historic arrest in 1955, Parks got into trouble with the law again on February 22, 1956. This time, she was arrested with close to 100 of her fellow protesters for breaking segregation laws during the Montgomery bus boycott. The famous photograph of Parks being fingerprinted by a police officer came from this second arrest, though it’s often mistakenly thought to show her first. 7. The founder of Little Caesars paid her rent for years. After surviving a robbery and assault in her Detroit apartment in 1994, Parks was in need of a new place to live. Mike Ilitch, the founder of Little Caesars, heard of the plan and offered to cover her rent for as long as she needed it. He and his wife Marian ended up paying for Parks to live in a safer apartment until her death in 2005 at the age of 92. 8. She was the first woman lain in state at the U.S. Capitol. Following her death in 2005, Parks was lain in state under the Capitol rotunda. The honor is reserved for the country’s most distinguished citizens—usually ones who have held public office. Parks remains the only woman and one of just four private citizens to receive the honor.